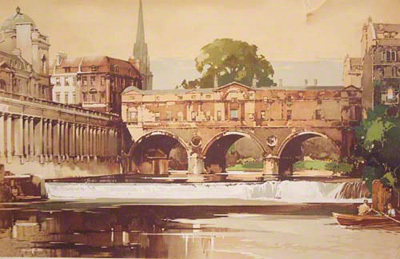 From the British railway poster entitled The Pump Room at Bath. This watercolour by Claude Buckle illustates the influence of strong architectural training. Created in 1950.